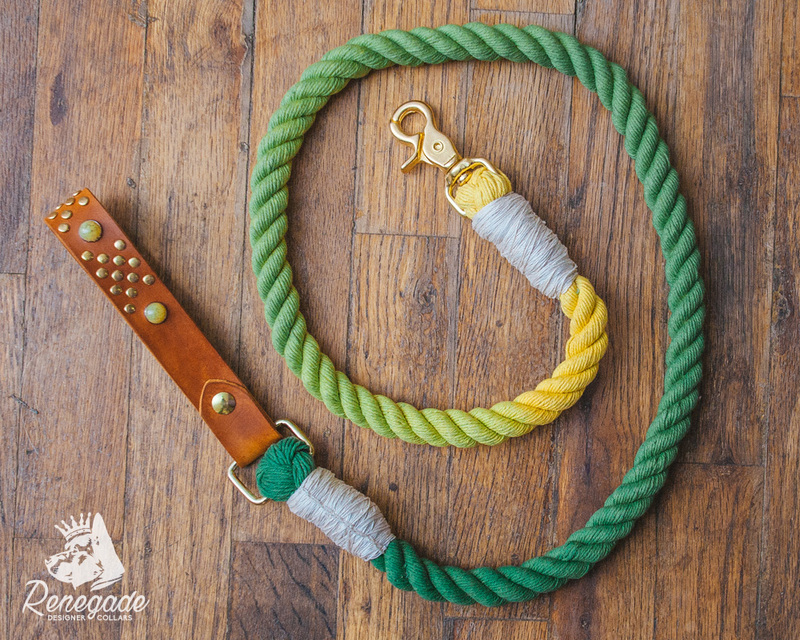 This sturdy 4ft rope leash features an intricately studded leather handle. The rope dye transitions from yellow to a deep green. Please select the leather color for your leash. Please select the stud color you would like. Each Renegade rope eash is hand made to order and comes with a lifetime warranty. This item is available with the following options shown below. Please note that monitor calibration varies, so the color swatches are meant as a general guide and the actual color may differ slightly. Each leather strap is hand dyed and distressed for a unique finish. We currently have the following colors available. This item is available in the following hardware colors.